23/03/2019: Had a good meal here. However the locals I spoke to suggested it has been a bit disappointing since new owners took over earlier this year. 17/12/2018: Ottimo cibo da asporto e prezzi nella media. 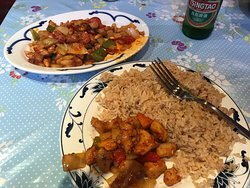 Riso alla cantonese e pollo al ginger squiditi. In centro a Portree. 02/12/2018: Are here for our nephews 21st. The staff were excellent and noting was too much for them. 08/10/2018: Having had a good takeaway from here whilst staying in the area we decided to visit again for a meal in the restaurant. 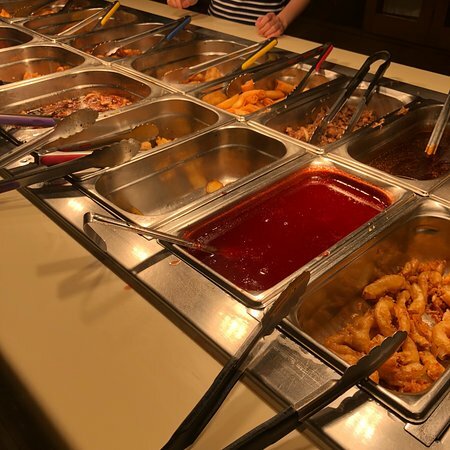 My husband and I had the buffet which was great value and I loved that the food was brought to you rather that big serving dishes that have been sitting for ages. 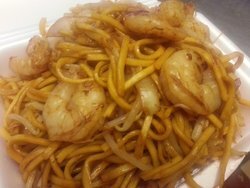 All of the food was delicious, very tasty and the batter was light and crisp on the sweet and sour. Our server recommended that we order a few dishes to start and then could order more if we wanted to. However the portions were so good we didn’t need to order any more. My parents went for items off the a la carte menu which they also enjoyed. Would thoroughly recommend trying and would go back if we ever in Buckie again. 17/12/2018: Buon cibo da asporto, proprio a fianco al supermarket ad Ullapool. Prezzi nella media. Riso e pollo. 14/04/2019: Called buffet but you don’t have to leave your seat. Menu lots to choose from, pick what you want starters, as many as you can eat then again pick your main course, you can try as many as you like or can eat, desert the same though we couldn’t manage desert, foods piping hot, staff attentive and polite, somewhere we didn’t know was there as it’s a takeaway at the front of restaurant,a must to try. 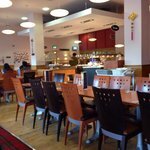 09/04/2019: Service was good and friendly from both members of staff that we encountered. It states that it does lunch and dinner, we visited midweek (Monday) but it didn’t open until 5pm, so unsure when you can get a lunch. Takeaway opens at 4.30pm. Inside is a bit dated, could definitely do with a bit of attention. 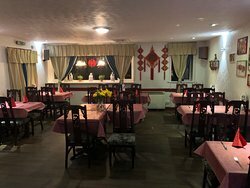 04/04/2019: We went to the Great Wall last night, this is our regular Chinese restaurant and we always went for the buffet however this was no longer available ,the owner recommended a similar option which we chose we had a sharing starter platter consisting of chicken skewers, prawns, ribs, prawn toast, wontons and naked shredded chicken.To follow we had 4 main courses of sizzling chicken sizzling prawns, duck hoisin and chiu chow shredded beef plus noodles and rice all very delicious. 24/03/2019: I had a 2-course meal here with the owner recommending 2 dishes. A starter of Teriyaki Chicken skewers with a soy and sesame seed sauce was very tasty. I also received prawn crackers. 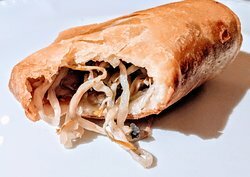 The Weeping Tiger was a chicken dish with a subtle batter or coating on one side, served with onions draped over it and served on a sizzling plate. I enjoyed every mouthful and would highly recommend this Chinese. 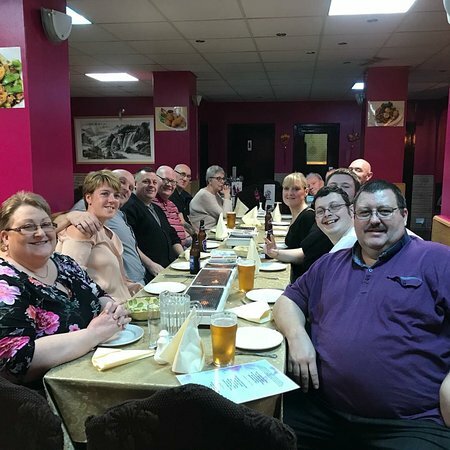 10/04/2019: We have popped in for a takeaway several times now, although it looks a little rough on the outside the food is really very nice. 18/01/2019: Just looking for a meal ( tea ). I had the chow mien which was fine. Very friendly young lady on the counter ( not Chinese, most front of house staff aren’t these days ). Nothing fancy but a good helpful at a reasonable price. What more could you wish for. My take away was still hot when I got home 7 miles later. 20/02/2019: Been here a few times for a takeaway food is good would recommend the special curry. Staff are friendly. 03/04/2019: Shocked at our Takeaway !!! will never go back ,it was binned,,s reheated and un edible,,the price is far too much for this quality of food,, 3 bits of tasteless chicken and nearly a tub full of brown Gloup,, as for the rice defo kept warm ,but was nearly cold.. Husband has the runs today ,,,and all this after a few mouthfuls !!! 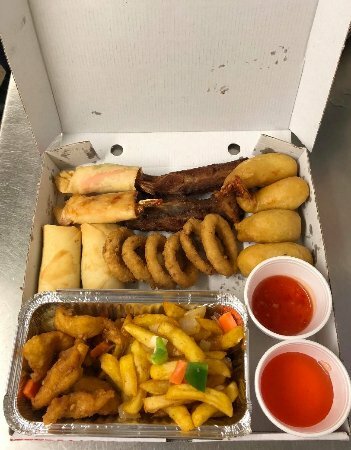 28/03/2019: Had a tasty takeaway, the food was tasty and good size portions & great value for money. The service was quick & helpful. 23/03/2019: We visited after a long day of walking. I put the fact we didn't walk out down to us being too tired to bother finding somewhere else. I had vegetable tempura to start, the batter was uncooked and slimy. I couldn't eat it. My partner had soup that seemed to include bits of chopped spam. 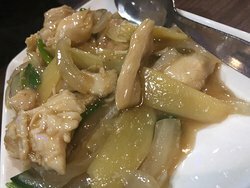 For my main, I ordered vegetarian "chicken" in yellow bean sauce with boiled rice. I was bought egg fried rice and the vegetarian "duck" in some manner of brown sauce. When I questioned the order, the rice was changed but I was told the "duck" was indeed the "chicken" in yellow bean. It was not. It was just a soy sauce and so salty I managed just one mouthful. My partner ordered special chow main. This arrived as chow main noodles covered in what can only be described as a soup of miscellaneous food items. there were chunks of meat and vegetables swimming in an unpalatable greenish gravy. My partner didn't touch it. We told them when paying (I so regret that we paid!) that it was the worst Chinese food we'd ever experienced. Shocking. We both felt quite unwell afterwards, despite eating little. 06/10/2018: Good menu to choose from and very quick service. We went for mushroom chow mein, chicken chow mein, bbq spare ribs in sauce and salt and pepper chips. All 3 of us, and the dog, enjoyed the food. We only use this take away when we're up in Embo on holiday but have never had a bad meal. If you are staying at Grannies Heiland Hame use Alex's as your main source of food when eating out. 16/04/2019: Creo que el restaurante polémico. . . Si vienes a juzgar directamente desde la puerta, podrías estar decepcionado, pero si vienes con gente buena y te relajas, es genial. Valor increíblemente bueno para lo que obtienes. . . Su oferta especial es simplemente genial y he estado allí muchas veces solo por eso. Probé a otra pareja china en la ciudad y ninguna de ellas venció al Lucky Bowl. Gran sabor, buena comida, ambiente cálido y acogedor y tan barato. . . No puedo esperar a volver! ! ! 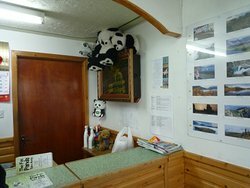 31/03/2019: Ok Chinese takeaway in Stornoway. 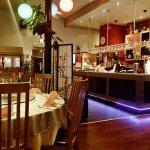 The food is definitely tasty and reasonably priced; however, after ordering a few times I got the feeling that there is not a huge variation in their dishes. Despite a big menu, all the options are very similar in taste, mostly because they are served in the same broth/sauce. I tried a Chinese, a Cantonese and a Malaysian dish and they were all very similar. Also, orders are served within 10 minutes which kinda makes you think there is some degree of pre-cooking of the meat. 31/08/2018: Second visit in same week whilst staying in area. Singapore fried rice and chips (half and half). Wait for freshly cooked food with a hint of Malaysian influence as a dual takeaway. Easy parking and indoor waiting area. Authentic style food and served hot and fresh with a bag! Great find. 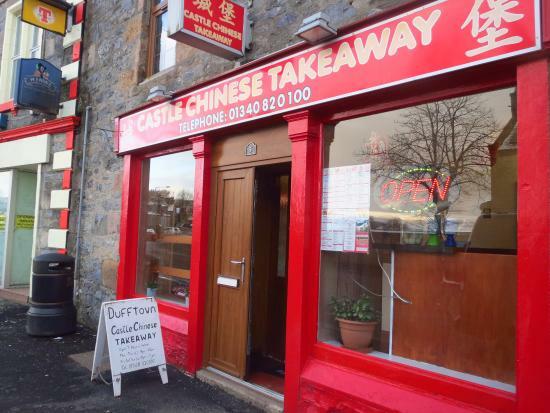 Best of the Chinese takeaway outlets in Stornoway in my opinion. 10/07/2018: This was a real find. Some Buffet can serve up some food that has been sitting around for a while. This one has food changed/replaced every half hour. Massive range and good selection. The place is not overly inviting from the outside, but give it a go. Great value, great food. 10/07/2018: I've eaten here a few times, and enjoyed it, however - the last two or three visits have shown a marked tendency to sloppiness. The food is invariably average or less - same all the time. The place is scruffy....OK if you fancy a quick feed and on your way. I won't be going again. 16/04/2019: We went here as a few other places we wanted to try were fully booked. We didn't mind however as we both enjoy Chinese food. When we walked in, the waitress appeared within seconds but wasn't very friendly for the rest of the time we were there. The food was tough and didn't seem fresh - quite a bit of it had dried up. The prawn toast didn't seem to have ever been anywhere near a crustacean and the lemon chicken didn't have any sauce and didn't taste of lemon. Both soups on offer were good and the beer was cheap. 14/04/2019: Terrible service food disgusting witnesed a member of staff empty a bucket of chiken out on to the serving area wearing black gloves 2 mins later she was in the toilet cleaning with the same gloves on horrible. 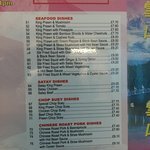 26/03/2019: I read through all of the reviews for this Chinese take away and noticed that a lot were giving bad reviews. Really fancied a Chinese so thought I'd give it a go and decide for myself. Well, I'm glad I did. My wife and I just had Singapore chow mein and a bag of chips and it was just as good as the banter from the young lad who served us. Will definitely be back. 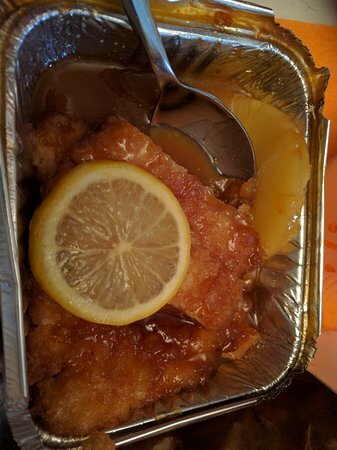 20/02/2019: We have been coming to Aviemore for the past 15 years at half term and always enjoyed our takeaways from snowy mountain. This year however it is sadly a different story to tell. Watered down tasteless dishes, no meat on the spare ribs and service little to be desired. We should have listened to the locals that afternoon who did worn us out had been taken oven and had gone down hill. As a party of 15 we will not be returning and decided a cardboard ready meal from Aldi seemed a more appealing alternative.